I have favorites. Favorite projects that I have knitted. Favorite patterns of my own. This is my favorite sock pattern that I've designed. 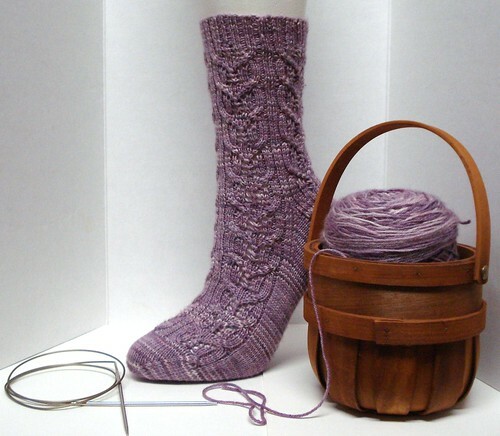 There was a lace & cable pattern in I think the 2nd Barbara Walker that I really liked, but the count and such just didn't work for socks - which is what I wanted to do. So I tweaked it quite a bit and came up the Minerva's Tower Socks.